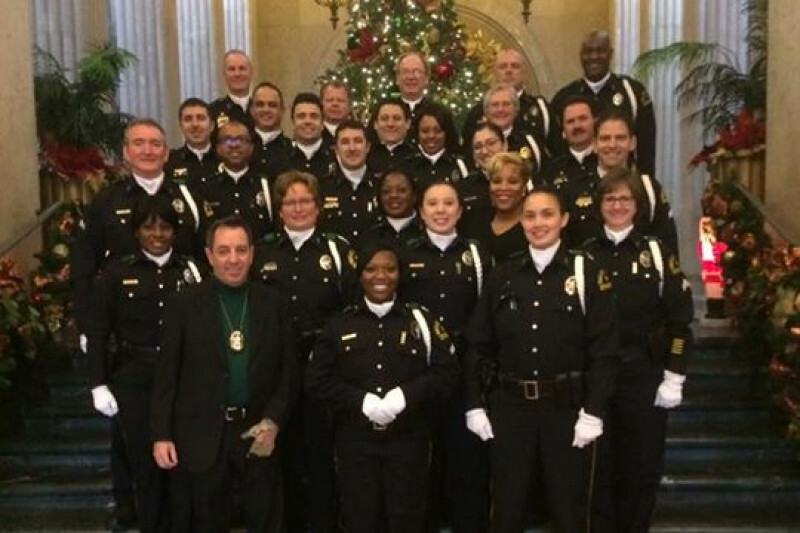 The Dallas Police Choir is asking for your help to raise funds for travel related to a trip to Washington, D.C. to participate in various choral events to honor those who paid the ultimate price in 2016. This includes the 4 Dallas Police Officers and 1 DART officer who tragically lost their lives working a protest on July 7, 2016. We are a Non-for Profit 501(c)3 organization and all donations will pay for travel to honor our brothers and sisters who spent their lives protecting and serving the citizens. We ask that you donate a few dollars if you can, and share on your Facebook. No amount is too small! If you can't make a financial contribution, please share this with your friends and family. For more information please visit the Facebook page "Dallas Police Choir", where we have videos, pictures, and contact information. We would like to thank everyone who has recently donated to our cause. In addition, a big thank you to Maria Saavedra with WFAA for airing a news story to help spread our story. Our account is back up and running. We are halfway to our goal and thank everyone who has donated so far. Please keep sharing the link on your social media account to help us reach our goal. Thank you to everyone who donated to our fundraiser. We would not have been able to get to the halfway mark without each and everyone of you. I would also like to thank NBC DFW for airing the story and thank Noelle Walker and her camera man John for putting together a great story for the evening news. I would like to thank each and everyone of you for donating to our trip to Washington D.C. We are still short of our goal and I am asking for shares via social media or email for other people to see. There were some technical issues with the site a few days ago but that has been resolved. I tried 3 times and it said fund is not ready. Why? On behalf of some TERRIFIC car dealers who are part of the Car Pro Show who matched my $1000 contribution: Five Star Ford in Carrollton, N Richland Hills, Lewisville, and Plano, Freeman Toyota, Freeman Mazda & Hyundai. Sewell Cadillac Dallas, Park Place Mercedes Dallas, Rusty Wallis Honda, Don Davis Lincoln And Nissan.